One year ago today, we drove west out of Batavia with our household loaded onto two “move-yourself” trucks. The prior day Jeremy and Stephanie went into major support mode when they learned that we needed a 2nd truck at the last minute and no one to spell Steve and I from our 1,000 mile drive. Fortunately, they shifted gears, re-arranged their schedules, and accompanied us. Not only was it a relief to not have solo drives ahead of us in those big trucks, it was a gift of time with our son and daughter. Yes, it is 365 days later…1 year…and I sit at my desk in our rental home in Denver on this sun-filled day listening to Nick Drake music (thanks to Steph), watching traffic zipping past, bikes cruising with tidy baskets strapped to their handlebars, and walkers strolling along our sidewalk, which is 15 feet away. Today Steve and I celebrate our 35th wedding anniversary, making it feel almost surreal to realize where life has taken us from a cozy and oft-times more predictable lifestyle in Chicagoland’s suburbia after 32 years to student life and no employment in Denver. We are truly grateful beyond words for this past year and all that we’ve experienced. On April 1, 2010, we still didn’t know if Steve would go to school in Oregon, Virginia, or Colorado. 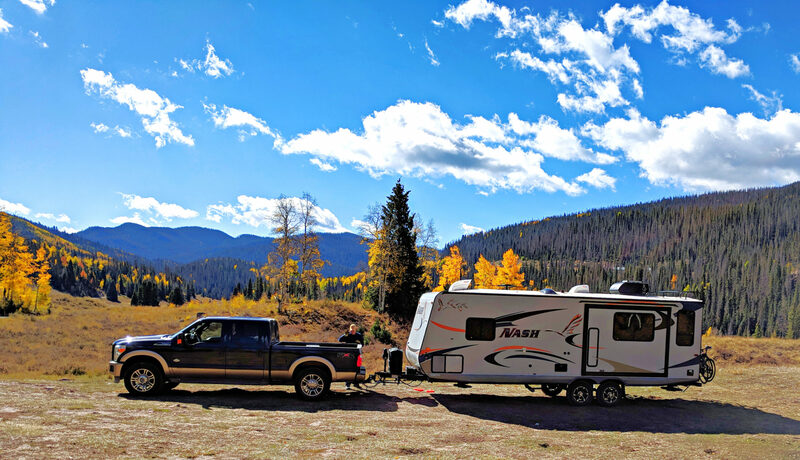 By mid-April we knew our destination, and I quickly scrambled to reserve moving trucks, storage space, and gave no thought to where we would live in Denver since the summer was filled with travels to faraway lands first. In early May we held a bang-up garage sale which left us very much downsized. Steve’s final day at INSTEC was on May 15. Goodbyes and farewells took place, many with heart-felt tears as we knew that the distance and time would make it more difficult to remain in touch. And now, a year later, we can look back and say that we survived our first year away from “home” a.k.a. Illinois! Okay….update time! I’m happy to report that last Thursday was my last and 30th Spanish class of the year. While I’ve appreciated this Spanish brush-up, the last quarter was a bit lackluster as we went from 15 students during my 2nd quarter to 4 students, including a newcomer with very little Spanish background. The pace slowed like a bug wading through molasses. Needless to say, I’m reconsidering my options next year and may opt for something different. I’m enthralled by variety in life, something that I’m realizing is a trait I may have inherited from my Mom! Recently I took a full-day writing workshop through Lighthouse Writers Workshop of Denver and I’m scheduled for another one in 10 days. I will engage in some soul-searching over the summer as to whether I take any classes in the fall. With the shelving of my job search temporarily, I’ve acquired some exciting volunteer opportunities. I’ve met with our associate pastor twice as we begin to put together a spiritual life-review process to conduct with our congregation’s oldest members. She tells me that we have several folks who are centenarians. Our goal is to interview them and preserve their stories as a legacy for the church community. If this is well-received, it could feasibly grow into something more expansive. A second opportunity is leading the planning committee of Seeking Common Ground’s annual awards breakfast, held in October. SCG is a non-profit which promotes “building peaceful communities personally, locally, and globally.” They reach out to Israeli and Palestinian teens, bringing them to Colorado each summer to be paired with American teens for a two-week time period through SCG’s Building Bridges for Peace program. The goal is to provide an avenue for the Israeli and Palestinian teens to gain respect for one another and to teach them an approach which they can share back in their home communities. The American teens gain an awareness regarding global peace plus building bridges across cultures. The third volunteer opportunity is actually a short-term commitment through Lunch Box Express. Once a week for the next 4 weeks, I’ll be passing out boxed lunches to children up to 18 years of age. The Food Bank of the Rockies runs a summer program for children across Colorado who typically receive lunch and sometimes breakfast at school during the year. They are passionate about providing lunch to as many children as possible so the kids can at least receive one meal each day. The Lunch Box Express is a sub-group of this effort, targeting specific schools in one of the neediest school districts in the Denver Metro area. We will load up a van with lunches and drive it to three-to-four different schools each day. Needless to say, it takes committed volunteers, training to cover state and federal guidelines, and a ton of logistics. Unbelievably, Steve is in the final stretch of his first year of graduate school at the University of Denver (DU). His last class was on Friday. Today he has stationed himself in his outdoor office after discovering that our wi-fi works on our covered patio! Due this week are four papers of varying lengths. Needless to say, he considers this a crunch week. By Friday evening, he should have all of his papers submitted. During this quarter he’s had a practicum, which takes him to Jefferson County’s justice system in Golden. He engages in co-mediations with established mediators. A few weeks ago he also added an internship to the mix. He co-mediates in Denver County’s justice system in downtown Denver. Here he’ll eventually experience solo-mediating as the summer goes along. Between landlord-tenant disputes, child-custody issues, divorce settlements, and a plethora of other cases, human behavior is quite interesting to say the least. One divorce mediation in which Steve was involved, lasted 6 hours and pleasantly ended in resolution, where the parties agreed to the terms of the divorce without a judge’s intervention. Mediation can save the justice systems thousands of hours and dollars each year! Unfortunately, mediation is almost all volunteer-based at this level. Nonetheless, it is good experience. Steve continues to volunteer at The Conflict Center once a week. He’s co-teaching his second series of classes as part of the rigorous volunteer training program at The Conflict Center. Probably this fall he’ll be able to teach solo. The Conflict Center essentially provides anger management training to teens and their parents, which is either court- or school-appointed. After so many years as a volunteer in youth ministry, Steve has an excellent rapport with the kids and creative approach to getting them involved in discussions. Thus, he looks forward to solo teaching. Jeremy and Michelle left on April 18 for their open-ended European trip. They had two weeks in Ireland together before two weeks in Wales and England with their friends, Alma and Yangling. Last week Jeremy and Michelle caught a flight to Montpelier, France. Within days, the Mediterranean’s beauty drew them closer to the sea. They’ve spent the last few days in Agde, France, soaking up the sunshine, exploring the gorgeous beaches, wading in the crystal clear sea, and savoring delicious produce from the markets. They called this morning, giving us a chance to catch up before they leave in the morning on a train for Bayonne, France. Sometime this week, they’ll begin their walking pilgrimage across Spain on the Camino de Santiago route from southeast France. This walk will take them roughly 40-45 days. They initially planned to update their web-blog: http://rawtravels.com/ but as of yet have not posted frequently. You may still enjoy checking it out. They’ve discovered that it is actually easier to update their facebook status from their iPhones. If you’d like to “friend” them on facebook to more closely follow them, please get in touch with them directly. We just hung up from a great phone call with Stephanie and Shane a few minutes ago. It sounds like they are weathering the Midwest storms and her time without employment as best as they can. They have endured quite a bit of rain over the past weeks and tomorrow it’ll be 90. Now, that sounds like a muggy day ahead of them. They admitted that they’ll probably seek refuge in a movie theater to enjoy the air conditioning! Stephanie keeps busy looking for employment. Applications, interviews, and 2nd interviews have all come and gone, but she bravely continues the job-seeking adventure! Steph and Shane originally wanted to take a vacation out to the Southwest. However, it looks like we’ll head back their way later this summer to have some time with them. Perhaps we can slip away for a couple of days together while we’re back there. My apologies are due. Goodness, I should post updates more often so they don’t turn into books. May you enjoy June, which is just around the corner. P.S. I just hit me that 6 years ago today, Steve dipped the rear tire of his bicycle in the Pacific as he began his cross-country bike ride! I credit that bike ride for getting the wheels whirling in our minds toward downsizing, which in turn became this move to Colorado!